Systemically-oriented supervision enables coaches to build fresh levels of clarity in challenging relationship systems. By acknowledging what is and then respectfully revealing hidden loyalties and entanglements, coach and client release blocked energy and restore flow in the system. Systemically-oriented supervision works by accessing embodied information and results in fresh insights, perspectives and action. In addition, you will experience the application of a systemic approach for yourself and with clients. How can systemic supervsion support you? Any client situation/challenge arising from your professional practice. Supervision of your personal and professional ‘Peacock’s tail’ to enable you to become aware of your loyalties, entanglements and resources. Supervision and mentoring on specific interventions you are designing in which you would like to integrate a systemic perspective and methodology. A deeper understanding and application of the stance, principles and practices of this approach. Sessions take place via Skype and typically last one hour. Systemically-oriented supervision is available as a one-off session or on an ongoing basis. Rate: GBP £200 per hour via Skype. Invoiced and paid directly to Maren with whom the contract is made. Please get in touch Maren here to discuss. 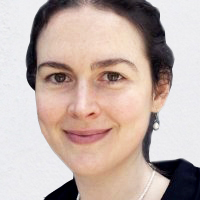 Maren Donata Urschel is a qualified supervisor who lives in Berlin, speaks English, German and Italian and is a member of the Coaching Constellations facilitation team. Find out more about Maren, her systemic supervision, workshops and trainings here.